The Law Society and Indian technology giant Mastek have decided to scrap online conveyancing portal Veyo, at a cost to the profession which has so far been confirmed at more than £3m but is likely to be much higher. In a statement yesterday, the society said it was “deeply sorry” that conveyancers who had “waited patiently” for the product would not be able to use it. A spokeswoman for the society could not put a price tag on the demise of Veyo but quoted figures from the organisation’s annual report for the period 1 November 2013 to 31 October 2014. She said the report showed that the society paid £600,000 for a 60% stake in Veyo in May 2014, but it also paid Mastek £2,668,000 during the 12 months of the 2013-14 annual report and including a payment of £44,250 in the previous financial year. No details were given of how the bigger sum was spent, or how much more was spent from 1 November 2014 until yesterday. She said that would be detailed in the 2014/15 annual report, which would not be issued until next summer. Des Hudson, the society’s former chief executive and the former chair of Veyo, estimated last autumn that the total cost of development and launch of the portal, to paid by the society and Mastek, would be £10m. 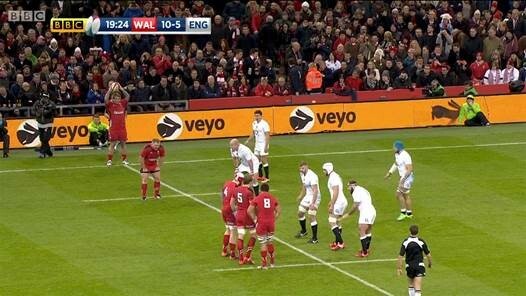 Earlier this year Veyo won awards for its marketing as it sought to establish its name, even taking out pitchside advertising during the Six Nations rugby match between Wales and England. But the initial expected launch date of 31 March came and went. 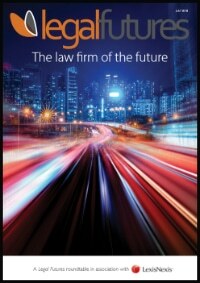 Mr Hudson left Veyo in August and was replaced as chair of Legal Practice Technologies (LPT), the joint venture company created by the Law Society and Mastek to develop Veyo, by turnaround specialist Ian Gray. LPT’s directors include current Law Society president Jonathan Smithers and chief executive Catherine Dixon. Rob Hailstone, conveyancer and founder of the Bold Legal Group, said yesterday: “It’s a shock, really. Why was Veyo not stopped six or 12 months ago? “There are a whole host of questions, and they go back to the day it started, two years ago. Then there were the misleading and inaccurate statements, followed by the launch that was not a launch. “The big question is how much money the society spent. It was a lot more than the £600,000 that has been mentioned [in yesterday’s statement]. In its statement, the Law Society said: “It is with considerable regret that we are announcing that we will not be making any further investment in Veyo. “Other software providers operating in the conveyancing market are responding to our members’ needs and so we have decided to step back. “We are committed to identifying unmet member need and innovation, but on this occasion we also have recognised the reality that the market has developed significantly since we started to develop Veyo and that the costs of continuing outweigh the benefit to our members. “We are deeply sorry that those who have waited patiently for the Veyo conveyancing portal from our joint venture will not now be able to use it. “We knew that the project carried risk, as all technological innovations do. Unfortunately it is no longer in our members’ interests to invest resources to make a product of the high quality our members expect and deserve. In its statement, the board of LPT said the market for Veyo had “changed radically” since the joint venture was founded. The statement went on: “New providers have committed to bring free products to market within case management software to deliver LTP’s vision for e-conveyancing. 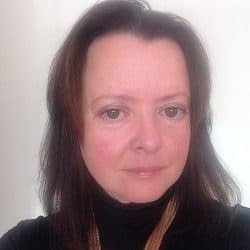 “Case management providers are developing products such as Free2Convey, adding value to their existing offer and we welcome any development which means that conveyancing can be done more effectively. 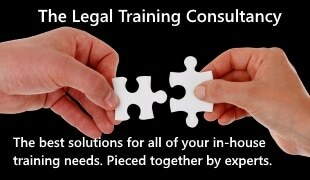 As exclusively reported by Legal Futures, Free2Convey was launched by the Legal Software Suppliers Association (LSSA) in September. Free2Convey offers conveyancers a “deal room” to work collaboratively on contracts and the possibility to see a chain of transactions, two of the features of Veyo, but does not charge a fee. Mastek’s accounts suggest that it lost £540,000 in the six months from April 2015 as a result of its involvement in LPT. However, the company said losses in LPT had “already been written off” and the additional financial impact would be restricted to “regular expenses and wind-down charges incurred during this quarter”. The Law Society’s 2013/14 annual report also revealed in July that Mastek made a £1.7m loan to LPT that was non-interest bearing and unsecured, with no set date for repayment. But repayment was expected to take place between 2017 and 2019. Doug Crawford, chief executive of Britain’s biggest conveyancing firm, myhomemove, predicted in May this year that Veyo “will fail”. The Veyo fiasco has been rumbling on for over two years now. The sad thing is, the writing was on the wall almost from day one. I recall that in 2013 the Law Society announced the arrival of Isabel Da Souza (apologies if the spelling is incorrect) to head up the project (the name Veyo had not been created then). Isabel was being heralded as the “best thing since sliced bread.” Within a few weeks, Isabel had gone. That did not bode well! There was a very costly high profile marketing campaign (including banners at the Six Nations last year) and free marketing material produced, including brochures, pens, key rings and coasters etc, and the hiring and removal of a sales team and a launch that wasn’t a launch this year. And there has been no real apology for the huge waste of time and money. Somewhere between £3m and £7.5m I believe, but currently shrouded in mystery. Most conveyancing Solicitors I have been speaking to over the last two years have been saying Veyo would never launch, and if it did, it would fail. If they knew that, why didn’t the Law Society, the board of LPT and the people developing it? •	Why was the project ever commenced? •	Who were the driving forces behind it? •	Why was it allowed to limp along for so long? •	How much money has been spent/lost? •	How much money is still owed? •	Who will have the decency to shoulder the blame and resign? •	Will a thorough investigation be carried out? •	When will the CQS re-accreditation process improve?